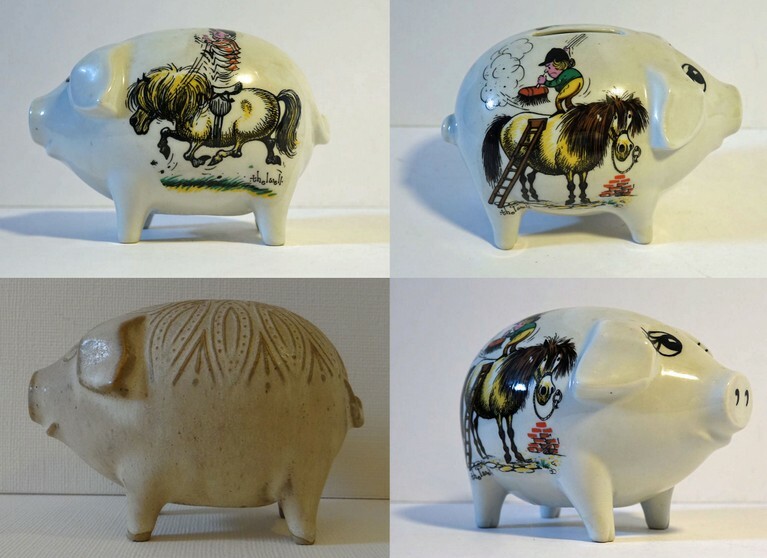 I wanted to have this English piggy bank to get the pictures of Norman Thelwell. Iconic pony pictures, a collector's item on its own. This piggy bank itself turned out to be special. It's from Surrey ceramics and from the same mould as some that I got from the Kingwood pottery. Small world (for a collector……. ).